Trans Inclusive Andersonville! is our 2020 goal to make Andersonville the most trans inclusive neighborhood in Chicago. As a proud Andersonville nonprofit, we are working to meet our mission of creating a more safe, just, and inclusive Chicago starting right here in our own backyard. We extend a warm invitation to our neighbors – residents, community groups, businesses, nonprofits, and more – help us meet our mission and increase our neighborhood’s T/GNC inclusivity. 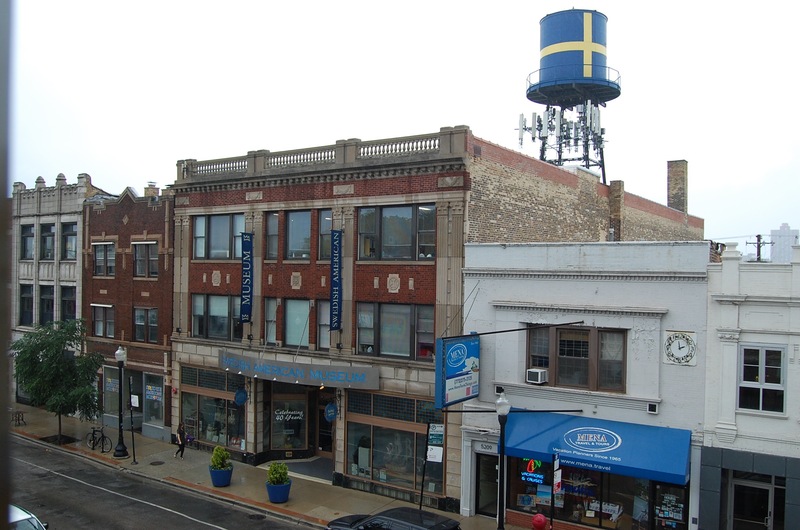 Andersonville is known as one of Chicago’s two main LGBTQ centers. Many LGBTQ people feel Andersonville offers a broader sense of welcome to lesbian, bisexual, queer, and transgender folks, as opposed to Lakeview’s “Boystown.” However, even with this broader sense of welcome, many transgender folks still experience significant social-cultural challenges in Andersonville’s business district. Mis-genderings, no place to pee, services only catering to cisgender individuals, are some of the regular experiences of exclusion and marginalization that T/GNC folks experience. These challenges limit T/GNC individuals’ full participation in the neighborhood’s activities. Over the course of 2019, we will have multiple Trans Inclusive Education opportunities for Andersonville, including trainings, mentorship and consultation opportunities, and resources on how to be a better trans ally. We encourage you to pay attention to upcoming opportunities and consider engaging. 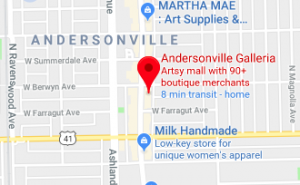 Come visit Andersonville and explore the Chicago Therapy Collective’s Trans Art Is open showcase of T/GNC artists at the Andersonville Galleria.